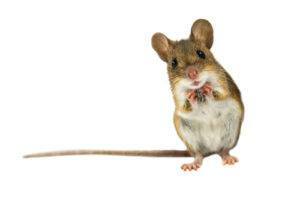 At Critter Control® of Orlando, we utilize a 4-step method to remove and exclude mice from your home. Inspect – With our free home inspection, we determine the location and severity of your mouse issue. From there, we work with you to create a plan that works for your needs and budget. Remove – We employ a wide variety of different removal techniques to eliminate the mice from your home in the most humane yet effective way possible. Repair – Once the offending mice have been removed, our technicians are able to clean-up and repair any damage or messes left over from the infestation. Our goal is to have your home looking like nothing ever happened. Exclusion – Our final step is to seal off entry points around your home to help ensure that you never have to deal with a mouse infestation again. If not handled quickly, even a small infestation can grow out of control and become a nightmare. Trust the experts at Critter Control® of Orlando to return your home to normal quickly and efficiently. Call us today at 407.295.7194 to schedule your free home estimate.